Bistro chair with chrome steel frame and polished light wooden seat. Suitable for commercial use. 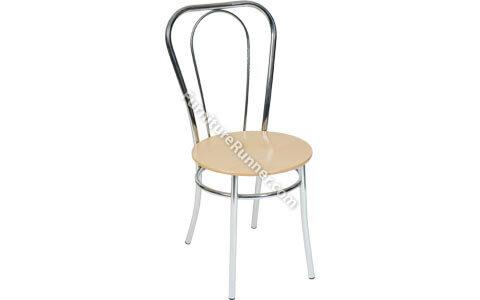 • Bistro Chair • Chrome frame • Polished solid wood seat • Fully assembled • Boxed in 4s.